Rowdies is the new collection of tough but soft toys for dogs. 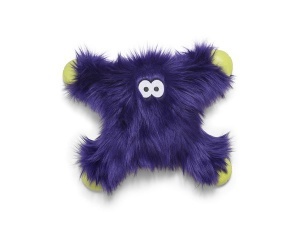 These new dog toys are sturdy enough to stand up to rough play. Fling them, bounce them and then toss them in the washing machine - they are destined to become dirty from so much play time! Perfect for medium or large dogs who love to shake, tug and chew, Rowdies Lincoln has four arms that dogs love to hang on to. West Paw uses the famous Zogoflex material to create designated "chew zones" for dogs who love to gnaw, chomp and chew. The tough HardyTex fabric has been reinforced with a mesh backing for enhanced durability. Stuffed with West Paw's exclusive eco-fiber IntelliLoft, made completely from recycled plastic. 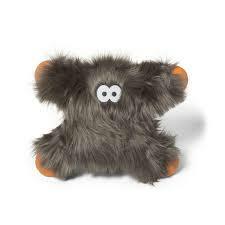 Rowdies combines the extreme durability and safety of Zogoflex material with tough chew zones, along with reinforced mesh backed fabric HardyTex to create a furry plush toy that lasts. Backed by West Paw's Love It Guarantee - if you are unhappy with the performance of this product, we’ll replace or refund your purchase (one time replacement per household). While Rowdies are super tough, they are not indestructible and may not stand up to aggressive and destructive chewers.